Arthritis is a group of diseases that cause joint pain. It can affect anyone at any age, and it’s considered one of the leading cause of disability in the U.S. Those with knee arthritis, for example, often struggle with mobility and have a hard time completing simple daily tasks, such as walking or climbing the stairs. Today, Terrapin Care Center talks about the most common forms of arthritis and how we can relieve your pain. Understanding what’s causing your arthritis pain can help you manage the condition more effectively. Osteoarthritis, also referred to as degenerative arthritis, is the most common form of arthritis. It occurs when the cartilage cushioning your bones wears away as you age, causing the bones to rub against each other. This may lead to stiffness, swelling and pain. Inflammatory arthritis occurs when your immune system mistakenly attacks your joints, resulting in uncontrolled inflammation. This may gradually erode your joints, leading to severe pain. Rheumatoid and psoriatic arthritis are two common forms of inflammatory arthritis. 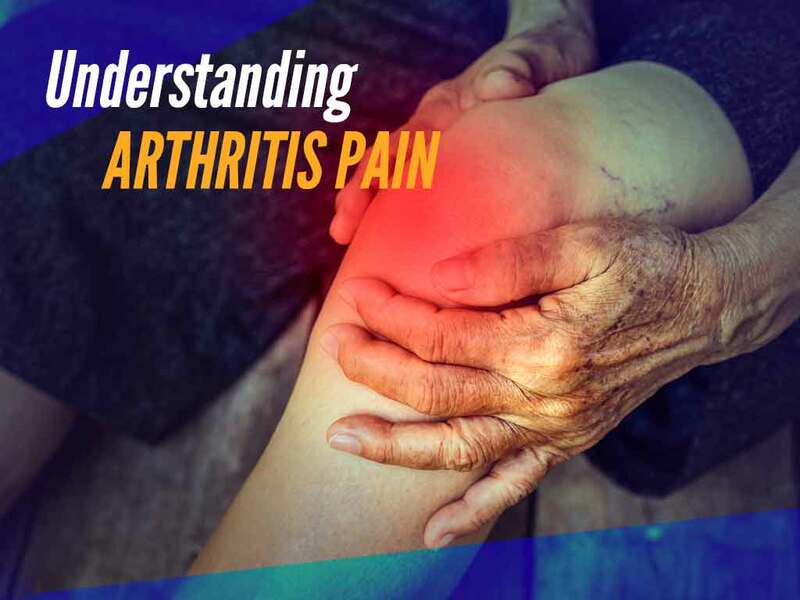 Whether you have degenerative or inflammatory arthritis, the treatment goals include treating arthritis pain, improving function and mobility, and preventing further joint damage. Achieving a healthy lifestyle is one of the most important things you can do to prevent the progression of arthritis. Having a well-balanced diet and doing passive range of motion exercises can help you maintain a healthy weight, reducing pressure on your joints. Undergoing massage or physical therapy sessions can strengthen the muscles surrounding the affected area as well for your improved mobility. Pain relief for arthritis may include injecting hyaluronic acid to increase the lubrication around your joints, giving you better ease of movement. Deep tissue laser therapy can also help reduce your discomfort. It promotes blood circulation around the affected area, hastening your body’s healing abilities. For those with rheumatoid arthritis, we may provide anti-inflammatory medications as well. For more information about arthritis and our pain management options, you can reach us at (301) 220-1930. You may also fill out our contact form to request an appointment. We serve Greenbelt, College Park and the surrounding MD communities.